During a challenging menopause, I sought acupuncture treatment and found it quite therapeutic. As a result, I developed an interest in Oriental medicine. Furthermore, in my work at Alhambra Hospital Medical Center as rehabilitation nurse (CRRN) and manager of an inpatient acute rehabilitation unit, I’ve observed that E-stim triggers nerve reflection in stroke hemiparesis patients. In the wake of these experiences, I considered acupuncture treatment may be more effective than conventional therapies alone. Fortunately for me, this awareness was simultaneous with my enrollment in Alhambra Medical University’s MSAOM program. A few years later, I accepted a position as clinical research nurse and certified clinical research professional (CCRP) at Cedars-Sinai Medical Center in Los Angeles. At Cedars I was fortunate to participate in a research project conducted by the Barbra Streisand Women’s Heart Center studying the relationship between menopause and acupuncture. The results indicated an effective outcome for menopause sufferers. In my diverse practice, I wholeheartedly believe that the integration of Western and Oriental medicines can yield powerful and beneficial outcomes for our patients. Ms. Wang graduated from Alhambra Medical University (AMU) at the end of 2013 as the top of the class and immediately obtained her state License as an Acupuncturist in early 2014. Ms. Wang was initially drawn to a career in engineering until she benefited from oriental medicine herself. She was convinced that it is one of the safest and most effective approaches to holistic health and she decided to dedicate the next chapter of her life to it. Ms. Wang was able to quickly equip herself and established a solid foundation in Traditional Chinese Medicine (TCM) by the outstanding and precise instruction form AMU. She also received practical guidance from AMU and is now holding a successful career. Since graduation, Ms. Wang has apprenticed with Dr. David Gao, a renowned doctor and herbal master with 50 years of clinical experience to continue her training. She dives into a series of classic books of TCM and applies these theories and techniques in her clinical practice. To further her focus in pain management, she regularly attends international pain management acupuncture seminars to extend her clinical skills. Ms. Wang helped many patients with facial rejuvenation and weight loss with success during her work at Alhambra Medical and Cosmetic Center after graduation. As an outstanding alumna, she was appointed back as a lecturer to teach Acupuncture Anatomy at AMU. Ms. Wang is also the first and only AMC alumna who currently serves on the medical staff at San Gabriel Valley Medical Center. In early 2015, AHMC Health System recruited Ms. Wang and she is now the director of Acupuncture Department in the Wellness Center. She takes care of employees of AHMC and delivers reliable and effective treatments for patients with a broad range of health concerns. She also treats work related injury patients. 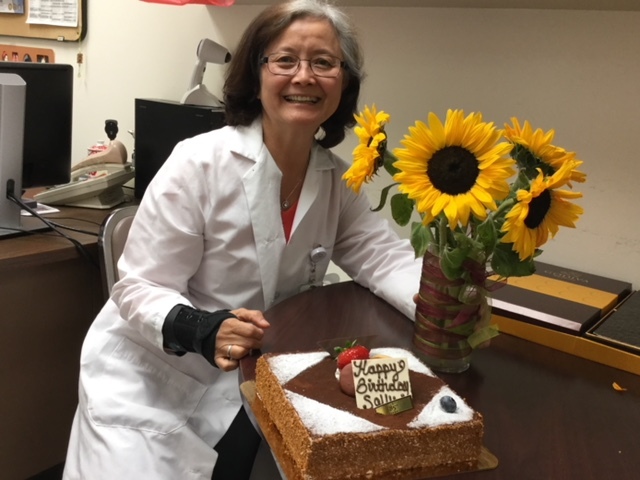 Ms. Wang already received two annual Awards of Excellence from AHMC Health System for her outstanding contribution and dedication to patient care during her three years of incumbency. Ms. Wang uses her extraordinary acupuncture skill and her warm, caring, humorous style to heal body & mind. Patients almost always get immediate relief during their treatment sessions and are cured of pains that have hurt them for years. Many were skeptical when they first came in but are pleasantly surprised by the results of treatments from Ms. Wang. Her patients often continue to come back to her for various other health issues and refer their friends to come. As her patients said, she has a pair of magical hands. Effective. Reliable. Personalized. We can help. At AHMC Wellness Center, we’re personally and professionally invested in your healing and care journey. We approach every patient’s condition with a thoughtful, thorough treatment plan to ensure holistic, long-­term relief. We provide compassionate care to each patient, every step of the way. Under the expert guidance of Ms. Wang, our practice integrates the traditional acupuncture technique and balance method to provide effective, lasting relief, enabling self-healing through targeted acupuncture points. We utilize a methodical and holistic approach to sound mind and body healing. As many of our patients can attest, the proof is in the results. Patients are amazed by the instant result. Patients who are transformed by their positive outcomes consistently return to address other areas of need and fine-tune their health and wellbeing. Learn more about AMU on our social media sites. Mon - Sun : 10:00 a.m. - 6:00 p.m.
7 Days a Week, 9:00 a.m. - 5:00 p.m.